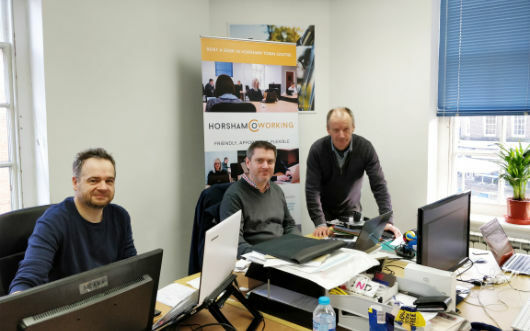 Horsham Coworking (HC) was launched in October 2016 by Matt Ide, Clive Walker and Roger Johnson, to fulfil a long-term need for the town's first proper, central coworking space for freelancers, homeworkers and small businesses. Matt runs a fundraising research consultancy, Clive is a web designer and Roger runs a home cleaning franchise. 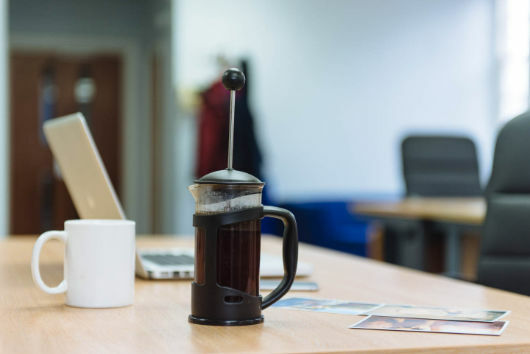 For several years, Clive ran an informal coworking meet-up at various locations in Horsham, as a distraction from the isolation of working from home. The group was well attended by a whole host of different people from all kinds of business backgrounds, but there was always a strong desire to create something more structured and longer term. Demand was there, as well as data to back it up - according to the latest data, 14.5% of Horsham residents in employment work from home compared with 8% across the South East and 6.6% across England and Wales - but a number of factors needed to align to make it a reality. In August 2016, Matt was preparing to move to Horsham from the North West, where he ran his own business as well as being a co-director of a coworking space in Hulme, Manchester. He was looking for somewhere similar to work in Horsham, but found there was only Clive’s group that met every Wednesday ... and so the idea for a Horsham Coworking space was born, albeit 'on paper' only at this stage. Over the next few months, discussions were held with the council and other local groups, like Hack Horsham, to try to identify suitable premises to start HC in earnest. Then, one day, a meeting with local web design company Britweb led to an agreement to lease an adjacent office; we are very grateful to Britweb and to Dan Purchase for their faith and support in helping us get established. Given the fantastic location right in the heart of Horsham town centre, we hope we'll be here for many years to come.